Al lives with his wife, Becky and their two daughters. He met his wife at a Christian youth camp, as camp counselors. After attending Rochester College, Al graduated with a bachelors degree in religious education and a minor in music. Years later, God led his family to Calvary Missionary Church, where he serves as the worship leader and youth minister. In addition to church ministry, Al works as a finished carpenter, likes to play disc golf, participate in sports and spend time with his family. Becky grew up in Clarkston and earned a degree in Social Work from the University of Michigan. Shortly after joining Calvary she joined the Board of Trustees and is currently the Secretary of CMC. Additionally, she enjoys teaching the youth group with her husband Al. Becky works for the Department of Veterans Affairs, and in her free time enjoys reading, working outside in her flower garden and enjoying her family. Dave and Andrea Wallace will celebrate 50 years of marriage in April of 2018. They have been attending Calvary for 16 years and Dave has not missed a Sunday service since their arrival. Dave is a retired railroad inspector and Andrea is a retired para-pro for Pontiac School District. This couple takes pride in living a healthy lifestyle. In their free time Andrea enjoys gardening and Dave enjoys handy work as well as outdoor activities. They have 3 grown children and love them with all their hearts. Andrea teaches the Beginners Sunday school class and Dave serves as a Deacon and custodian. Dave and Andrea enjoy the worship, preaching and being a part of the church family. Cynthia served in the military for 20 years. While in the military she accepted Jesus as her personal Savior in August, 1989. She then rededicated her life to him in April 1993. After retiring from the military she went to World Harvest Bible College and continued her education at Oral Roberts University. She currently works outside of the church as a hospital Chaplain. Cynthia then received her undergraduate degree in Pastoral Care and other graduate degrees in Counseling and Divinity. Throughout her life she served in several ministries within the United States. Being guided by the Lord she now attends Calvary Missionary Church, joining in October 2015. Cynthia serves as an Elder, and a prayer warrior on the intercessory prayer team and is on the Board of Trustees. Glenn and Marlyn Kay Winter have been Elders at Calvary Missionary Church for many years. They have a deep love for the Word of God and place a high priority on studying scripture and maintaining a great relationship with the Lord Jesus Christ. Glen worked as a contractual engineer and Marlyn Kay was a loving mother that played a significant role in raising their children. In addition to serving as elders, Glenn assists with administrative duties and communion. Marlyn Kay is a church Board Trustee and Sunday school teacher. Additionally, they love gardening in their spare time. Denise McGuire has attended Calvary Missionary Church her entire life. Denise is the faithful daughter of Rev. Leland & Dr. Yvonne Matlock. She is a mother of 2 and has been married to her loving husband, Deon McGuire for 29 years. Denise works as a dental hygienist and takes pride in keeping teeth pearly white. Her position in the church is teaching Sunday school for the children ages 6-11. Denise's personal goal is to get all of the young children to fall in love with Jesus and develop a spiritual foundation. Her commitment and dedication to the spiritual development of the children has provided opportunity for her to watch them grow over the last 12 years of her teaching. Glen and Beth have jumped in whole heartedly and have greatly benefited the church with their talents. They share their gift of hospitality each Sunday morning by creating an atmosphere of love and acceptance. Glen and Beth can be found bringing in delicious homemade baked goods and coffee. This allows for fellowship and opportunity to build relationships with one another each week. Glen works as a field technician for an engineering firm and Beth works as a part time artist/writer. They have 3 adorable little girls whom they home school, and raise to love Jesus. Penny Glenn is a hard working mother of four. She has worked in a rehab unit for 17 years and loves changing peoples lives. Penny's greatest love is spending time with her family. As the Helps Ministry Coordinator, Ms. Glenn creates the weekly bulletin and manages the Church food pantry. In addition, she loves to organize the many different annual events; Easter Egg Hunt, Thanks Giving Dinner and Christmas Play. This church family has many fun activities to participate in due to her organizational skills and love for fun. Joe Glenn is a young man who loves the Lord Jesus with his whole heart. He has been attending Calvary Missionary Church since birth and at 16 years of age, has become the church techie. 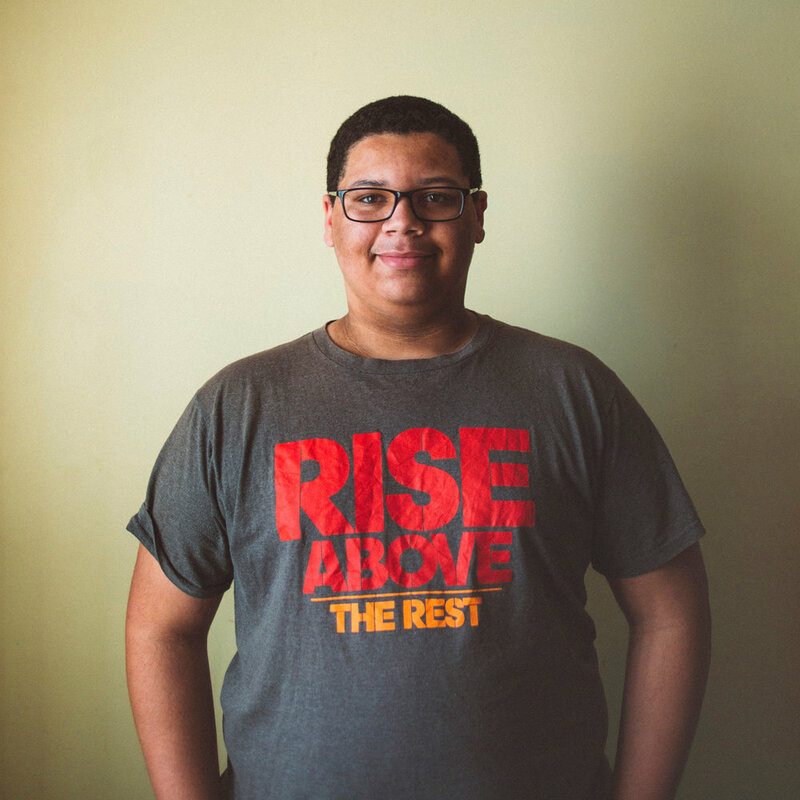 Joe is a student at Oxford High School and plans to attend college after high school graduation. He runs the sound board for the worship team, and creates weekly power points for Pastor Debbie's sermons. What Joe loves most about his church is hanging out with one another.